BOSSU, dit Lyonnais, PIERRE-JACQUES, named Brother Félix, Recollet, Roman Catholic priest, and professor; b. 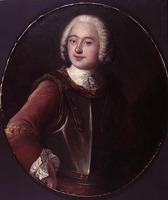 8 Nov. 1770 at Quebec, son of Jean-Michel-Jacques Bossu, a blacksmith, and Catherine Jean; d. there 19 Aug. 1803. In 1782 Pierre-Jacques Bossu, dit Lyonnais, entered the Petit Séminaire de Québec, where he “applied himself to studying earnestly and steadfastly, a model of docility and good behaviour.” In 1790, thanks to an allowance given to impoverished pupils, he finished the Philosophy program. He then entered the Recollet noviciate and took the name Brother Félix. When this early period of training was completed, Bossu returned to the seminary to follow the courses in mathematics and science given by Antoine-Bernardin Robert* in the 1791–92 school year. On 30 April 1792 he and four other students publicly defended theses in mathematics, ballistics, astronomy, and physics. 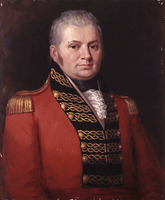 Prince Edward Augustus, Lieutenant Governor John Graves Simcoe of Upper Canada, and officers from the garrison were present at this defence. After completing his studies Bossu began to prepare himself for holy orders at Quebec and Montreal. But in 1796 the Recollet order was dissolved and all the professed who had been admitted after 1784 were secularized [see Louis Demers]. Bossu, who reverted to his baptismal name, asked to be admitted to the Grand Séminaire de Québec. He was still only a subdeacon when, without any difficulty, he obtained admission as a member of the community of the seminary on 4 Aug. 1797; on 20 August he was ordained priest by Bishop Denaut. At the seminary, Bossu taught philosophy to begin with in 1797–98, and theology for the next two years; in 1801–2 he gave the courses in rhetoric. Because of the limited number of priests who were members of the community of the seminary, Bossu had to fulfil several administrative functions in addition to teaching. 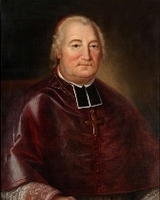 From 1798 to 1800 he ran the Grand Séminaire, and he sat on the council of the seminary from 7 July 1799. After becoming director of the Petit Séminaire and prefect of studies in 1800, on 2 March 1802 he was elected second assistant to the superior, Antoine-Bernardin Robert. That summer Bossu went to Île aux Coudres for a rest. On 8 Aug. 1803 he became first assistant to the superior, and he would probably have climbed the final step if a serious illness had not intervened. Bossu did not recover and on 19 August, at only 32 years of age, he died at the Hôpital Général of Quebec. He was buried in the cemetery of that institution. AAQ, 22 A, V: f.697r. Arch. de l’Hôpital Général de Québec, Hôpital, reg. 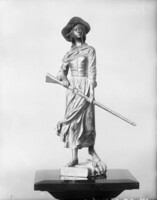 des décès, 20 août 1803. ASQ, mss, 12; 437: 47–50; mss-m, 134, 208, 978; Séminaire, 103, no.21a. Allaire, Dictionnaire, 1: 65. Honorius Provost, “BOSSU, Lyonnais, PIERRE-JACQUES, Brother Félix,” in Dictionary of Canadian Biography, vol. 5, University of Toronto/Université Laval, 2003–, accessed April 19, 2019, http://www.biographi.ca/en/bio/bossu_pierre_jacques_5E.html.